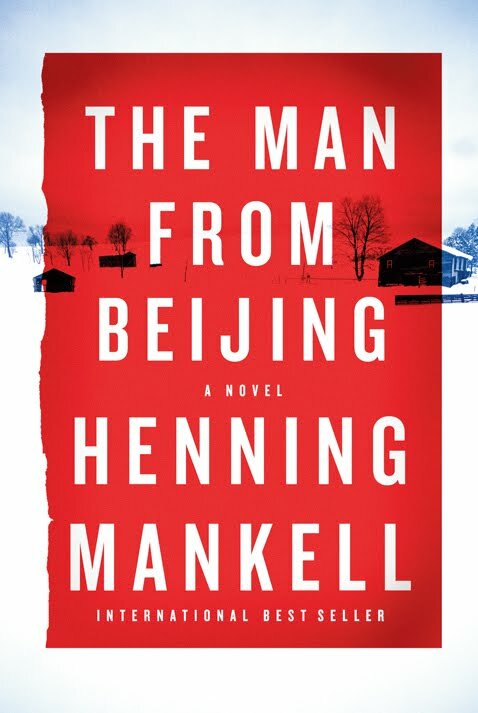 The Man from Beijing, the latest of Henning Mankell's Swedish crime novels to make it into English, starts out with a fascinating story, reminiscent distantly of the premise of his first Wallander novel, Faceless Killers. First a wolf and then a dying man discover dead bodies in a hamlet near a small town in northern Sweden, alerting (just barely) the police to check out the group of houses that make up the little village. An unconventional cop is immediately stressed by the 19 bodies that are discovered, groping to discover what has happened and why. That cop, nicknamed Vivi, is immediately one of Mankell's most interesting characters, but after a few chapters the scene shifts to a judge (also female) in southern Sweden who will be the major character of most of the rest of the story. The judge, Birgitta Roslin, is also an interesting person but I found myself wishing for more of Vivi instead. Birgitta's story includes a curious family history, a troubled marriage, and in the course of what (after her initial discovery of a similar crime in Nevada) can hardly be called an investigation (more a blundering hither and thither all the way from Skåne to China) there's an old diary from her mother's step-parents' father (concerning his life in the U.S. running a railroad work crew), a wild coincidence in China (concerning Birgitta's encounter with a security agent after a mugging), and a lot of worried speculation that ultimately leads to a murder attempt and a killing. In an alternate plot, we discover the dark history and subsequent diary of a Chinese family descended from a worker who is kidnapped into near slavery to work on the U.S. railroads and then journeys with much difficulty and travail back to China. Another diarist, one of the Chinese descendants, is a greedy and possibly psychopathic entrepreneur of the present day, and his story begins to alternate with Birgitta's, once the historical phase of the story is told. Though there are elements of the story that resonate with my own ancestors (one of my Swedish grandmother's cousins came to the U.S. to work on the building of the railways, and then moved back to the family farm near my grandmother's original home in southern Sweden, a town not unlike (except in geography) that northern Swedish hamlet at the beginning of The Man from Beijing. But through the whole story, I wished I was following instead the dogged (though mistaken) pursuit of the case by Vivi, an echo of Wallander's dogged and frequently mistaken pursuit of the Faceless Killers. Mankell sometimes indulges in political/philosophical diatribes (explicitly spoken as well as implied in his narratives) and there's plenty of that here, concerning the U.S.'s role in the world, European colonialism, treatment of Africa by the rest of the world, the direction of China, and a proposed re-colonization of Africa. No problem with that per se, and Mankell's style is tilted toward narrative rather than dialogue (so the discussions of global politics are pretty well integrated into the story), but somewhere along the way he lost me in this book. 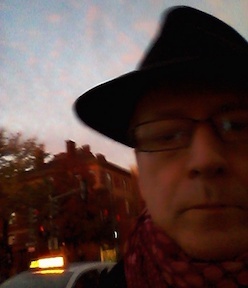 There are some metaphorical connections/coincidences that seem under-exploited (Birgitta's husband, for example, is a train conductor on the Swedish railway) and others leaned upon a bit too heavily (in the Chinese villain's obsession, making him almost too much of an obvious villain and exposing his role in the murders very early along). The conclusion brings some closure, but not really any clear resolution, for Birgitta and particularly for the police investigation (perhaps enough for some readers, but not quite satisfying for me, particularly given the fact that we all know by at least halfway through the book what's going on, at least we know far more than Birgitta or the cops). I was afraid from reading previous reviews that I wouldn't even be able to finish The Man from Beijing, but I found that it has its virtues, in the fluid style of the writing and especially in those vivid and gripping early chapters. But I could not help but wish for more of that, and less of what the novel actually became. I like your review and I think you have aptly identified some flaws in the book. Nevertheless, I think I enjoyed it more than you did, partly because I was happy to be distracted from the crime plot (which was sketchy and in which one felt the author wasn't very interested) by the stories of the three main women. It is a pity that Vivi faded out. The parts I thought the weakest were the flashbacks into history (USA and China) which to me were at the "saga and clogs" level. I liked the modern parts of the narrative. It isn't a focused novel but it raises a lot of questions and thoughts about a good chunk of the world, so for that I also liked it.